I went to Boscobel Restoration in Garrison, NY this morning to paint with a group of artist friends. I was thinking that I’d do a bunch of watercolor sketches, and then go back later in the week to do an oil painting. Just in case I changed my mind, I brought my little 5×7″ Guerrilla box along. 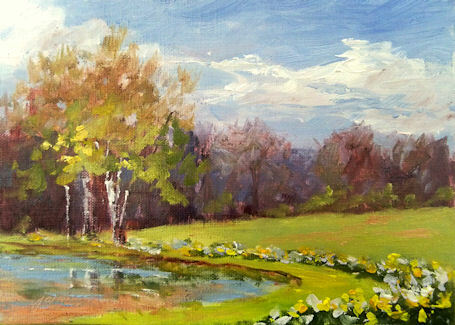 I’m so glad I did, because when I saw this scene with the pond and huge masses of blooming daffodils, I had to paint it in oils! It wasn’t long before the clouds moved in, the wind picked up, and raindrops started to fall. I had just finished up when that happened, so it’s a good thing I worked small. 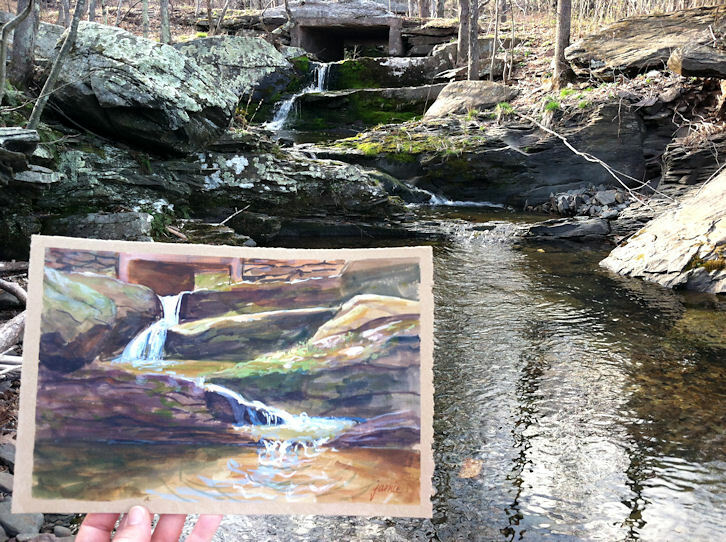 I’m grateful for being able to get outside to paint on a beautiful spring morning. Painting is already matted with ivory archival mat, backing board, and archival polybag. It will fit any standard 12×16″ frame. 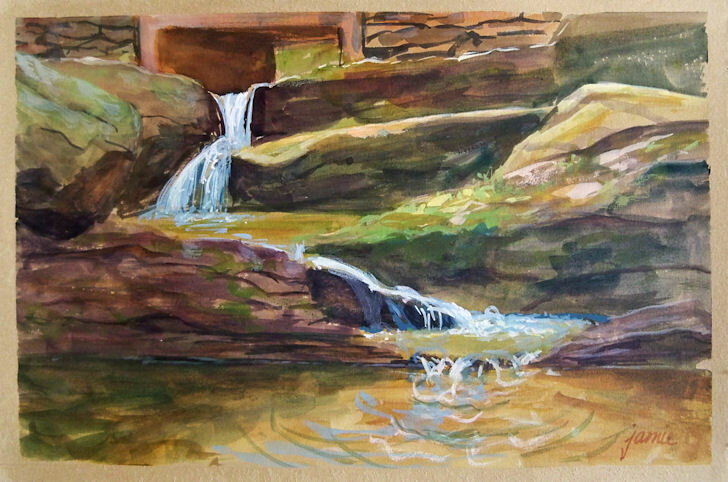 This was painted a week or so ago out on location, sitting with my feet in the water on a gorgeous, unseasonably warm, early spring afternoon. My little dog Rondo waded in the water while I painted. It’s hard to know which of us enjoyed it more!